If traveling abroad this summer made that bucket list, then several members of the Mt. Olive High School Basketball team got some slam dunks. 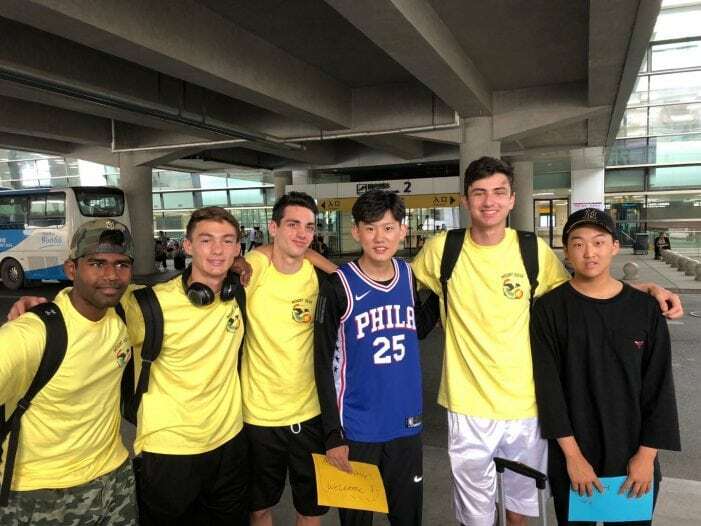 Eleven players of the boys’ team and two coaches went to China June 27 to July 11 to play basketball and get cultured. Their fully funded trip was sponsored by Capstone America. Chinese students have spent the past 18 months attending Mt. Olive High School and summer camps and as part of the exchange Mt Olive students and teachers have been invited to visit China. The basketball team is the first group to go from MOHS, but more groups will be invited in the future. credit.” In turn, the Mt Olive school district brings in extra funding, while the students from Asia can build their transcript. “China was very interested in what we have to offer at Mt. Olive High School,” says Stansberry. They liked the school’s programs, performance and school status particularly what it offers in humanities, music, art, robotics, Steam education and business, he says. “We were looking for partners and they were doing their own research on how we prepare our students for college readiness,” says Stansberry. here. They stayed with host families during the school year of 2017 to 2018. Different students have been applying to attend this next school year for 2018 to 2019. Last summer 100 students in grades nine through 12 from China, Korea and Vietnam participated in the Capstone summer program at MOHS. This year that number has more than doubled. American studies, industrial design, television and robotics. Stansberry says arrangements have been made with Centenary University to use its dorms for the students to stay. To reciprocate, talks began last year with Capstone America that involved inviting a constituent from Mt. Olive to visit China. Stansberry has visited there five times as part of the arrangement but that invitation has now extended into the school district. For the first group, it was a “toss up” between robotics or basketball team, says Stansberry. Planning happened quickly so it was a matter of who had visas. “Robotics was just finishing their season,” says Stansberry. 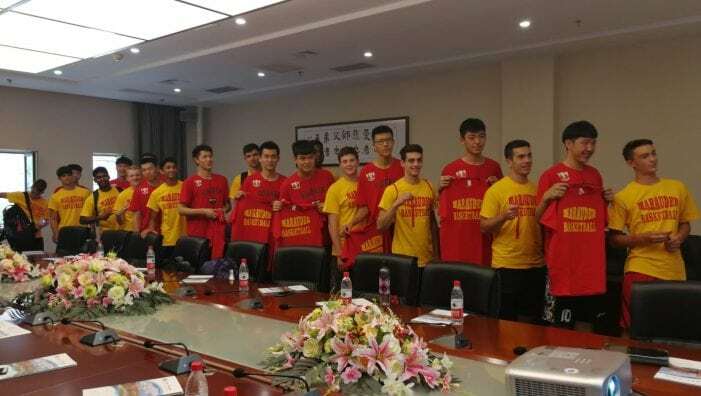 “Basketball is very popular in China,” with a “very organized sports program for boys,” and the thought was to arrange for some friendlies to merge the popular sports program. seniors, along with Dan Grzywacz, social studies teacher and girls’ basketball coach; and John Pieper, social studies teacher and boys’ freshman basketball coach. After playing a friendly basketball team from Sweden at MOHS the Monday before their flight to China, Stansberry tagged them as the MO Globetrotters. and private dormitories on campus and at various sites. For the first part of the trip the group planned to stay in Shijiazhuang; for the second part they were visiting Shanghai Sports Academy. studies; improving language skills; learning the difference in schooling. Stay tuned for a follow up story in August in Mt. Olive News.